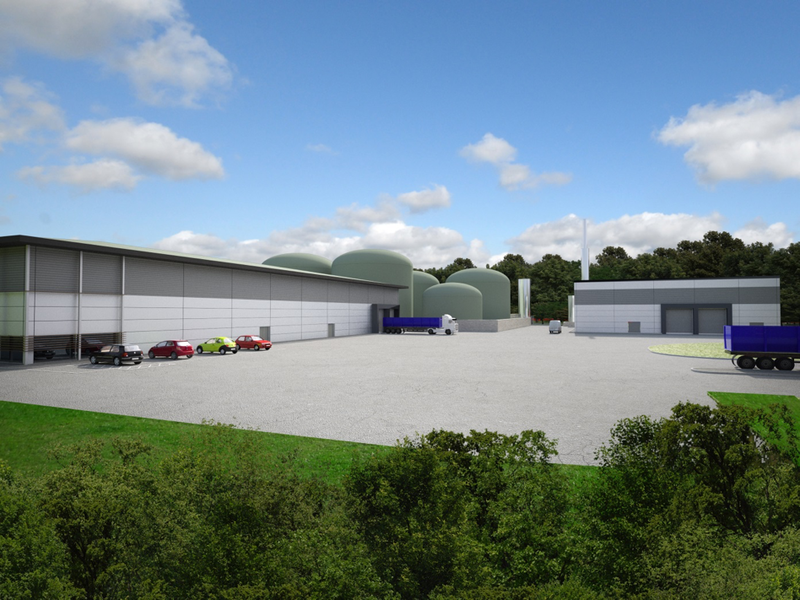 Proposed Anaerobic Digestion facility capable of generating renewable electricity and heat from up to 70,000 tonnes per year of organic feedstock. Located on the former Wardley Disposal Point, Folingsby Lane South Tyneside. Planning permission was granted subject to conditions on the 1st December 2014. In October 2018 Peel Environmental secured the sale of the Wardley Anaerobic Digestion facility to Wardley Biogas Limited after the £17m project reached financial close. The planning permission was originally granted in December 2014 for the 70,000 tonnes per annum facility which was designed to be capable of processing organic waste including source separated food waste, commercial and industrial waste and agricultural waste). The facility will generate on average of 600m3/hour of methane which will be treated and injected to the national gas distribution grid. The plant will generate enough green gas to heat around 5000 houses. Construction of the plant will commence in early 2019 with the production of first gas being produced in late 2019, with facility being fully operational in the Spring 2020.